On April 22, 1970, long before I was even born, people across the planet joined together in support of environmental protection. Since then, the annual Earth Day event has encouraged millions of people to participate in activities that help promote a more sustainable future. And each year, I am so inspired by the many efforts being made in our community to help reduce our impact on the environment, whether it be setting up e-waste collection stations, organizing tree planting meet-ups or participating in community cleanup events. But this year, I am encouraging you to make every day Earth day by making simple changes in the way you go about an everyday chore - laundry. By adopting more eco-friendly laundry habits, we can make a big difference to the environment. Wash with cold water. Did you know that one year of cold-water cycles can save enough energy to charge your smartphone for a lifetime? Use an energy-saving HE washer. Typically, these machines use three times less water and use 65% less energy. Use the quick cycle. 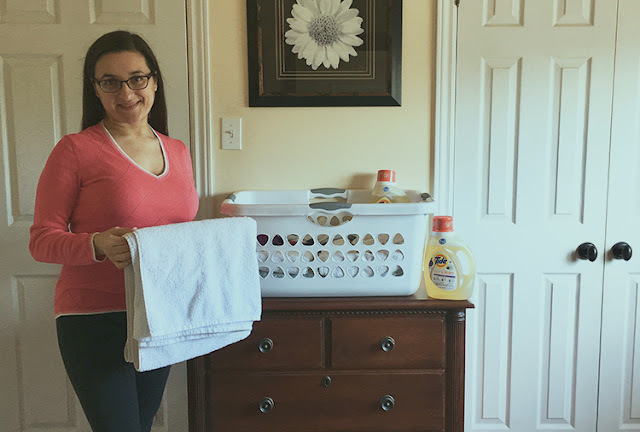 While I usually aim for a full load before turning on the washer, I make sure to use the quick cycle for small loads or for laundry that is not heavily soiled or stained. Wash during off-peak hours. This will not only save you money, it helps to reduce energy demand during peak hours. Hang your clothes to dry. If this isn't possible, be sure to remove lint from the lint trap and screen each time you use your dryer. Use a plant-based detergent. I first started using Tide purclean when it was launched last fall and was thrilled that Tide took this giant step towards helping to build a more sustainable future. Tide purclean is 65% renewable, plant-based ingredients, as certified by the USDA BioPreferred program. It is also hypoallergenic, free of dyes, chlorine, phosphates, ethanolamine and optical brighteners, and the Unscented version is free of perfumes. Plus, it is gentle for baby's clothes, making it perfect for the whole family's laundry. This Earth Day, join me in taking the Sustainable Laundry Pledge to reduce our environmental impact on the planet and support the WWF-Canada’s Count For Nature movement. For each pledge received, Tide purclean will donate $5 to support WWF-Canada’s Count For Nature movement up to $15,000. Simply visit tide.ca/CleanPledge, click on the "Pledge Now" button, and post your tweet. It's that easy. 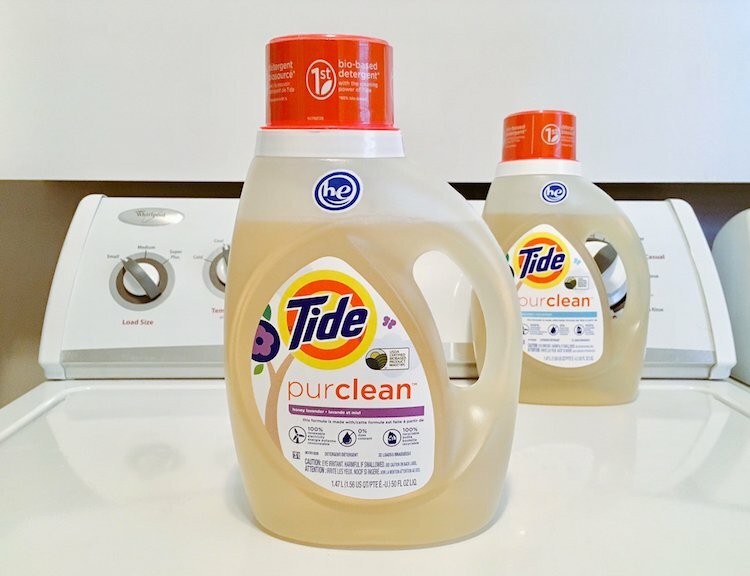 If you have yet to try Tide purclean, be sure to keep an eye out for it the next time you're out shopping. It is available at retailers across Canada in both Unscented, as well as in a Honey Lavender. The first bio-based detergent with the cleaning power of Tide, Tide purclean is HE-Compatible, which means it works in all machines. Great tips. I too use the quick cycle for smaller or lightly soiled loads. I just bought my first bottle of PurClean last week and so far, I'm loving it. Smells so good!! I will have to try this one out, sounds great!! I've seen this product in stores but didn't know about it! Thanks for sharing your tips! With so many product choices out there why not choose the earth friendly ones? I am always surprised to discover that not everyone know's that you have to be sure to remove lint from the lint trap and screen each time you use your dryer, since otherwise it can cause a fire. My washing machines in Europe also had a filter that had to be cleaned regularly, marvellous what was found in there, coins, hair pins etc etc, not to mention the gunge this saves the machine clogging up and getting damaged with debris. There doesn't seem to be one on my washer here though. Just received a sample of Tide Purclean; can't wait to try it! Have you ever seen the experimental lake's phosphate experiment photos? An unreal example of how wrong detergents pollute.